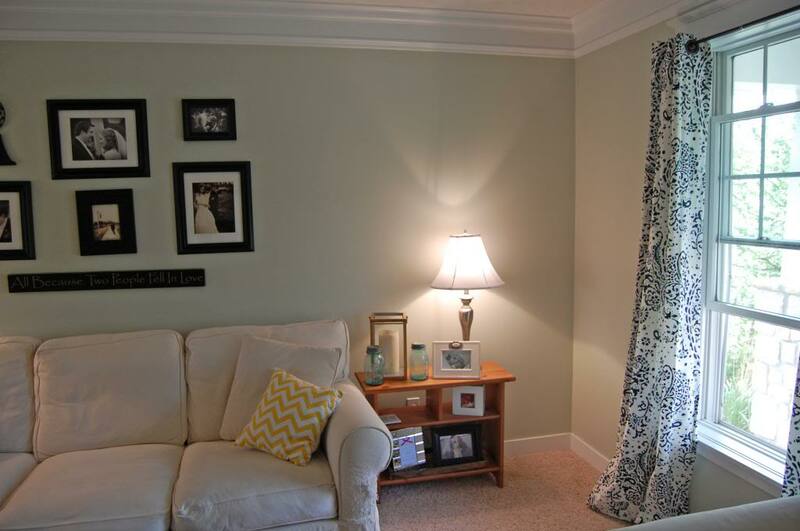 Last week I asked for your help with my living room….thanks for all of your great ideas! The rooms needs a major face lift in the form of pops of color. You can see the before here. 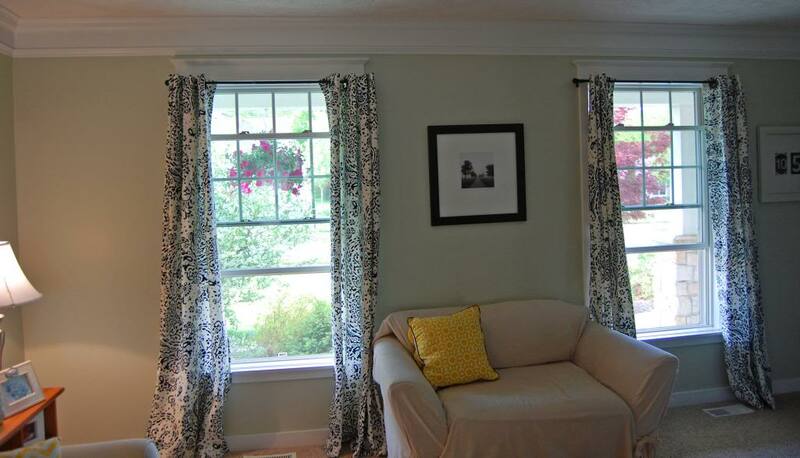 Over the weekend I had made a few little changes, moved some furniture, and got new curtains! The curtains are these from Target’s Threshold line in navy. I’m thinking of adding pops of yellow, so I brought down two yellow pillows from my guest room to see if I liked the look. What do you think? I also moved our side table from the left of the couch to the right in an attempt to baby proof and hide our laptop charger cord. Hudson has already pulled all of the picture frames out of the table, so that needs to be changed asap. I also want to pant the table…maybe yellow? Grey? Navy? Thoughts? And probably either paint the lamp or buy a new one too (Kichler lighting has some cool options to consider). This weekend I’m going to try and update the gallery wall behind the couch to add more color! And in case you were wondering, here’s the other, more chaotic, side of the room, thanks to Hudson and all his toys! The coffee table needs to be painted too…but what color? That side table would look awesome painted navy!!! and that baby he makes everything a little cuter! I love the colors!! 🙂 I think navy on the wood pieces would be amazing!! I definitely agree with Carolyn that a navy would look really pretty on of the wood pieces! It looks great! I also agree with the navy. I love the pops of yellow! Having a boy at home, I would not do a dark color on your coffee table, it will show every scratch and Easton LOVES to race his cars on ours, so it has a lot of scratches! Looks really good so far! I think the tables would look great in a dark navy and the lamp would really pop in yellow! I'm pretty sure I have the same coffee table, I painted mine apple green but yours would look amazing painted like a deep turquoise! Love the new curtains. I have been impressed with the Threshold line at Tar-jay! I'm boring and would probably do a gray of some sort on the coffee table. I found an upholstered coffee table yesterday from Wisteria that I am dying to have, if only it wasn't $899?! Spatula fun is the greatest!! hudson's toys are the pop of color in the living room!! 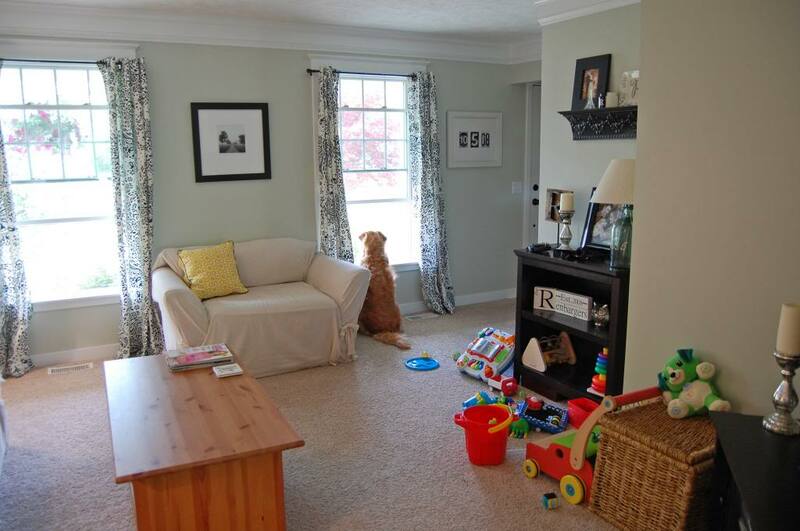 i love those curtains and how with your dog do you keep those couches so clean? It looks great! 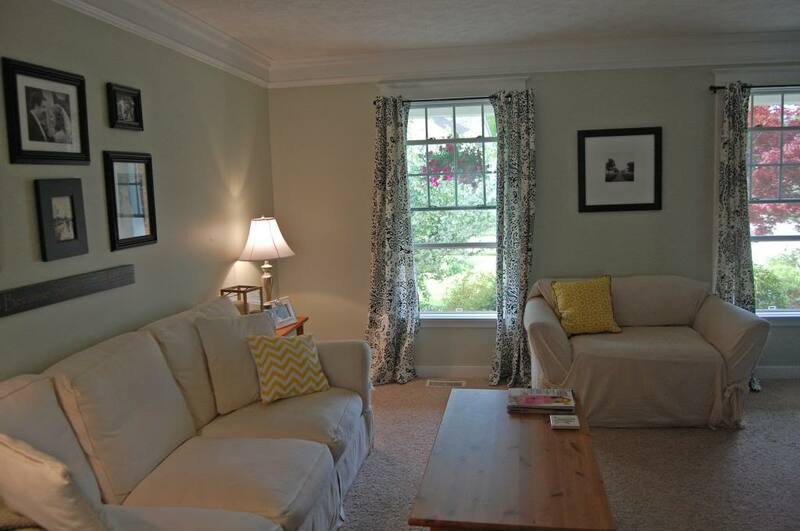 I love the curtains and the yellow pillows! 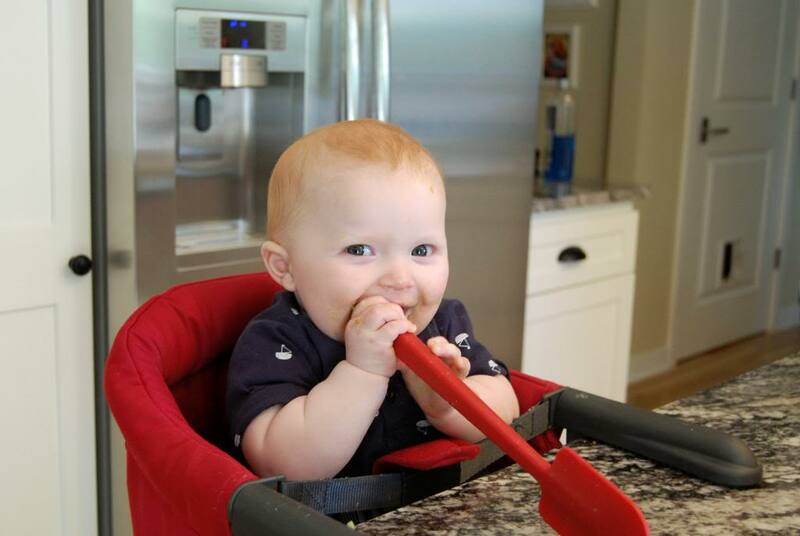 I think I missed it, but what kind of high chair-type-thing is that? It's genius and I may just need one!